Let me just say this: Democratic presidential hopeful Bernie Sanders is bringing his progressive populism to Madison. 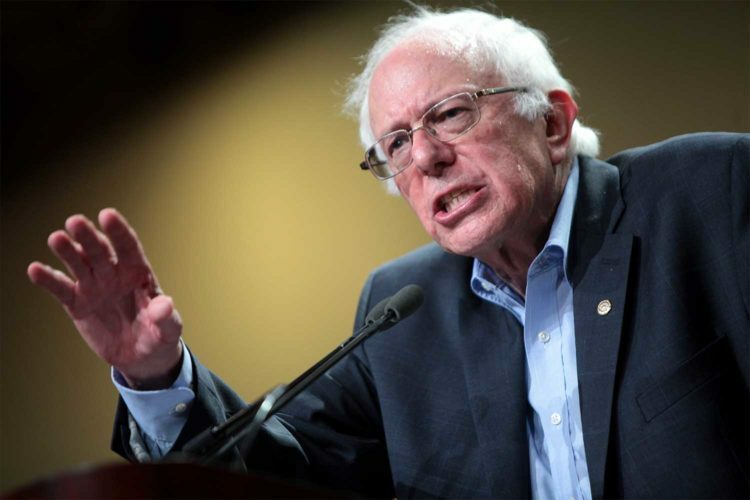 Sanders, 77, will hold a rally at James Madison Park this Friday, April 12. It’s part of a three-day trek through the the Upper Midwest; the “Blue Wall” of Wisconsin, Michigan and Pennsylvania notably swung for Donald Trump in 2016. The event will start at 5 p.m., with gates opening at 3:30 p.m. This marks a return to Madison for the independent senator from Vermont. Bernie made a couple stops here during the last presidential cycle, including filling up the Veteran Memorial Coliseum in 2015 to a capacity generally reserved for professional wrestling. Some see that Madison rally as a turning point for Sanders’ grassroots campaign, legitimizing his potential candidacy. Unlike 2016, however, America’s cool uncle Bernie is now the frontrunner for the Democratic nomination. With Joe Biden busy running damage control, Sanders — a Democratic socialist — has increasingly been tossed around as the best person to take on Trump. A recent poll showed that Bernie is still America’s popular senator, a title he’s held for 11 years. That’s pretty impressive for a guy who speaks as openly about being a socialist as we do about about sandwiches. Bernie will be the second Democratic candidate to visit Madison this year. Beto O’Rourke stopped by Cargo Coffee last month, where he unfortunately did not bust out any songs from his old punk band.